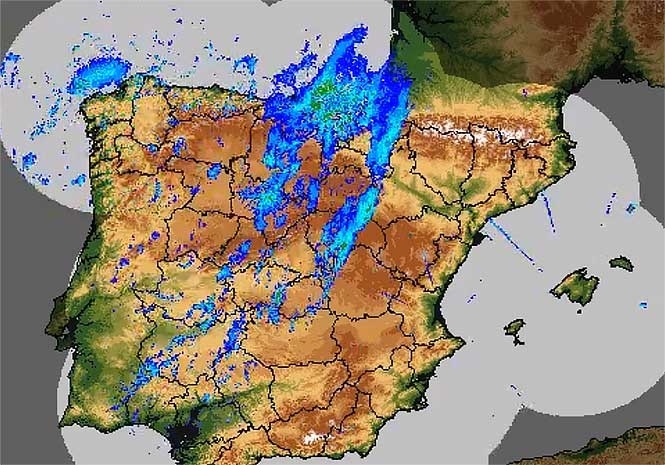 SPAIN’S national weather agency, Aemet, is warning that an approaching weather system will bring with it heavy rain, wind and even snow in some parts in the coming days. The agency is forecasting that the front could create a “cold drop” towards the end of this week and beginning of the next. The Valencian Community, Murcia, the southeast of Castilla-La Mancha, the south of Cataluña and the eastern-most part of Andalucia are likely to be the most affected areas. Strong winds and rough seas are also forecast in the Bay of Biscay. Salamanca, in the north of the country, has already registered wind speeds of 99km/h today. The snow level will likely drop to 600/800 metres in the northern third of the country and will be around 1,000 metres in the Balearic Islands. Temperatures will begin to fall almost everywhere by up to 10º Celsius – but particularly in the centre of the country. On Saturday, rainfall will remain heavy in the Bay of Biscay, Navarra and the Pyrenees. Significant rain could also fall in the south of the Balearic Islands, the southeast of the country and Cataluña.